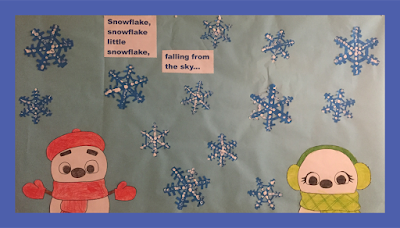 Christmas and winter are coming and students from P4 and P5 like the Little Snowman song... So they sing this song and they made a mural to decorate the corridor. They enjoyed a lot!